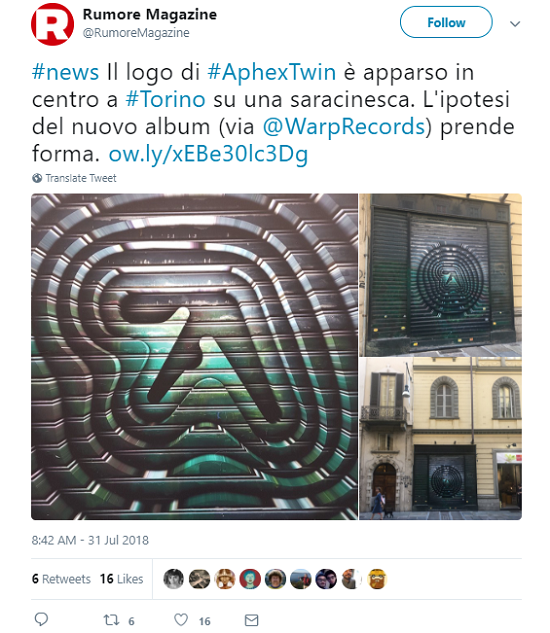 UPDATE 31/07/2018: More Aphex Twin artwork has been spotted, this time in Turin where he is due to play in November. For images, click here or continue reading. 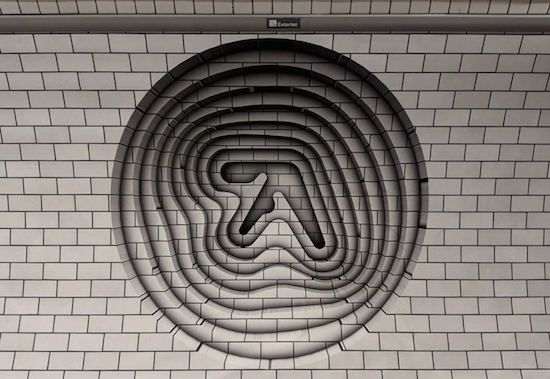 A pair of 3D depictions of the logo commonly associated with Aphex Twin have mysterious appeared this morning at Elephant & Castle tube station. The logos, which have been confirmed as official by Warp Records, appear to be hinting towards a forthcoming release or live show, though it's not yet known exactly what the producer is teasing. A new album would follow on from the 2014 release of Syro, which was his first album as Aphex Twin in 13 years. The producer has also released a number of EPs since then, as well as a massive haul of old demos and unreleased tracks for free via SoundCloud. He also last year launched an online listening platform for much of his discography. Richard D. James also has form for these mysterious marketing campaigns. In August of 2014, a green blimp bearing his logo was flown above London club Oval Space to kickstart the promotional campaign behind the then forthcoming Syro.